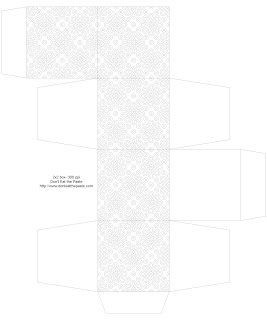 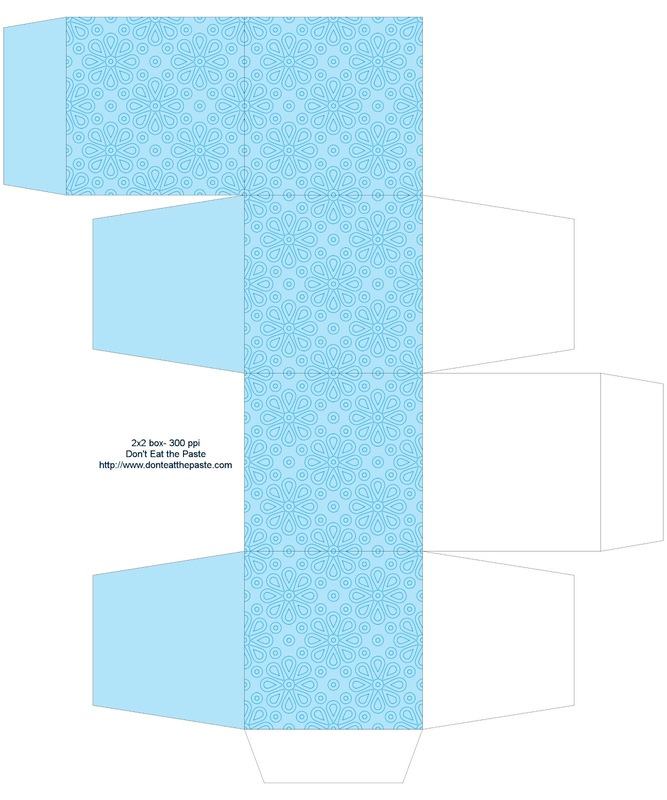 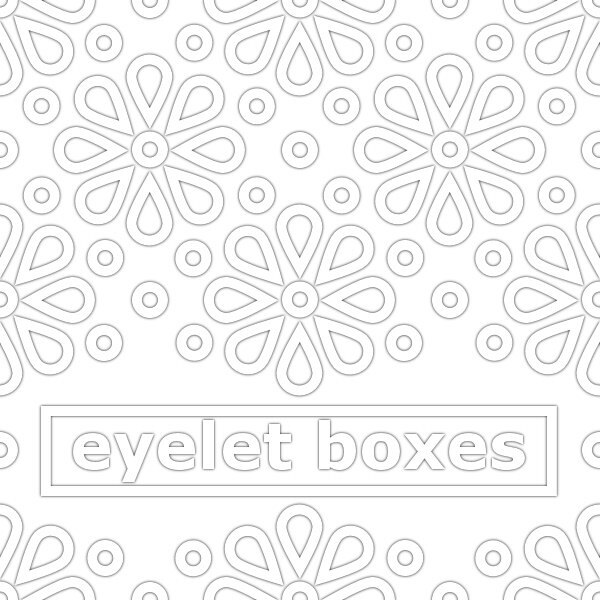 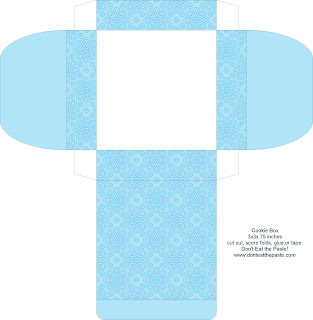 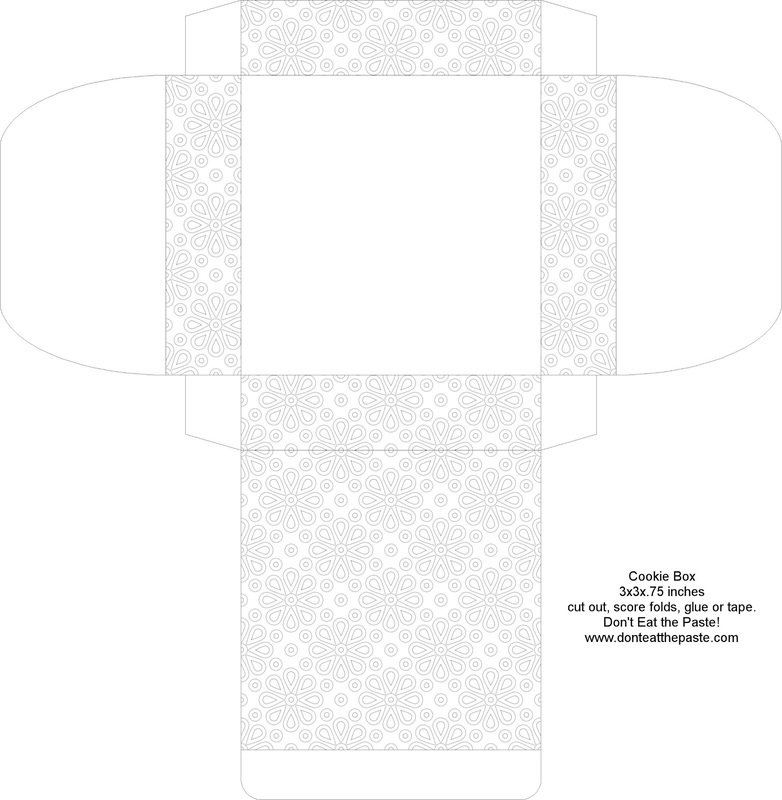 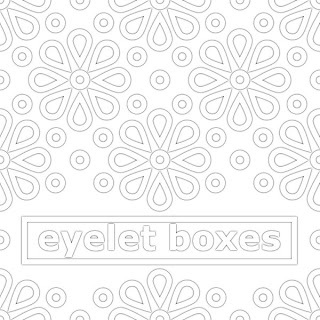 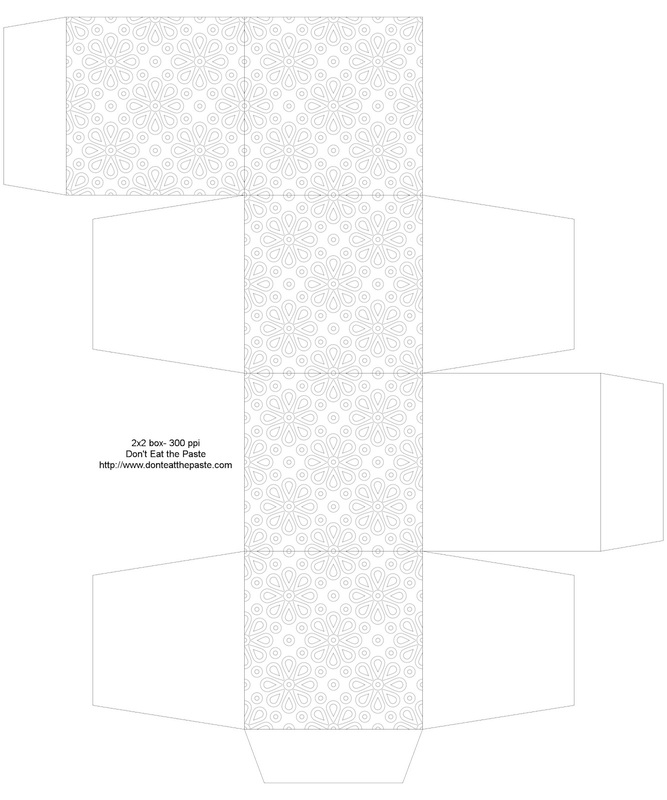 Printable cookie and 2x2x2 inch cube boxes with an eyelet lace theme. If you would like another color, or one of my other templates decorated to match, just let me know! Click for larger versions, print on card stock, cut, score, fold, glue.